How Can SEO Increase Traffic to my Website? Search Engine Optimization (SEO) is an Internet marketing discipline dedicated to increasing visibility in organic search engine results (Google, bing, Yahoo, DuckDuckGo… ). At Zigma, we are Google Partners and certified in SEO, so we know how to optimize your website to get the best results. We can also tap into our knowledge of Google algorithms (how Google finds, ranks and returns relevant website search results) to improve your position. During our initial consultations, we will do our research to understand which terms and keywords your ideal customers use (i.e. what they type into a search engine to find a business in your industry in Toronto or the GTA), and weave this into your digital marketing strategy. We will analyze the competitive market to create content that includes relevant topics and themes that will resonate with your target audience. When your website is optimized, you will attract more visitors, and increase your website’s ranking on search engines, including Google, YouTube, Bing, and Yahoo. Your website will be structured in a way that search engines understand the information on and making sure we engage your target audience. Working together, we will use our knowledge of SEO to bring more leads to your business through your website. Truthfully, no one can guarantee that you will be the top ranking website on every search engine, but you have our commitment that your search engine ranking will improve. You will also see an increase in the number of qualified leads contacting you to discuss your products or services. Why Should SEO be the First Step in my Sales Funnel? When executed properly, SEO is an effective way to bring a prospect into your sales funnel. Using our knowledge of Google Analytics, keyword research and focusing on trends in your industry, we will work with you to transform your website. The overall goal of our SEO strategy is to get clients to contact you, and give you a chance to convert them to the next stage of your sales process. Some of our clients come to us after less than favourable experiences working with other Internet marketing firms. Clients often tell us that they didn’t received the best Internet marketing services for their business, they are unsure of what they paid for and they received a report full of numbers with no idea what those numbers present! If this has happened to you, we understand why you may be skeptical of trusting another digital marketing firm. Zigma’s Internet marketing services will be tailored to your business by using our technical knowledge and industry experience to transform your website. We will do this based on our deep understanding of how search engines (and crawling bots) read and rank websites. Having high quality content that will resonate with your ideal customers is just as important as optimizing the back-end of your website. Our team has professional content writers who know how to reach and engage your audience, as well as integrate SEO best practices into your website content and blogs. Turn your website into your most powerful sales tool; call us to get started today! How Can I Usethe Right Tools and Tactics to Improve my SEO and Access Competitive Research Information? What works and what doesn’t work as an effective SEO strategy is constantly changing. Prior to our first meeting, we will conduct research to tell you about your current position in your industry, and how you rank against your competitors. Preparedness and professionalism go hand in hand, and we want to give our clients value every time we meet with them. We know that, in addition to keeping up with current industry trends, we need to use the right tools to provide clients with accurate information. Search engines are “fed” through high quality content relevant to your industry to improve your SEO ranking. At Zigma, we use the most current and reliable software and applications to confirm the accuracy of our results by analyzing and comparing them with results from other marketing tools. Our clients realize the benefits of translating human content to search engine code and indexing. We use our SEO, Internet marketing and website development knowledge to create a website with a sound technical foundation that will also resonate with your target audience. Every client comes to Zigma hoping for a positive return on investment to grow their business. While impressions and clicks are important statistics, we want to be able to provide clear, big picture business results. 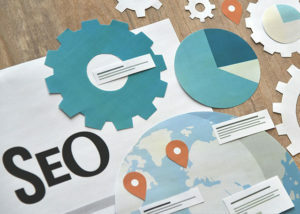 Call us for a free consultation to discuss how SEO optimization fits into your company’s Internet marketing strategy.